. . . and babies make four. : On the fifteenth day of Christmas . . .
On the fifteenth day of Christmas . . .
Raise your hand if you could have guessed that there would be a Matilda Jane giveaway? 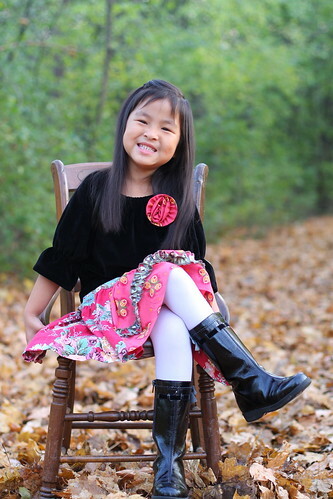 My ongoing love affair with Matilda Jane Clothing is no secret. Any of you who have followed this blog for any length of time know just how much I adore their clothes. They actually make me smile ear-to-ear. They make Michal and Kenna smile too. They call them their "Matildas" and ask me if Miss Denise made them just for them. And you know what? I really think they believe that she did. If you don't yet know about Matilda Jane Clothing, I promise that you're in for a treat. Pretty cute huh? The girls and the clothes. I'm a bit biased when it comes to the girls though. So, on to the really, really great part . . . Matilda Jane is going to give one of you a $100 gift certificate! How is that for fun? To enter, go visit the Matilda Jane site and tell me how you'd spend your prize. 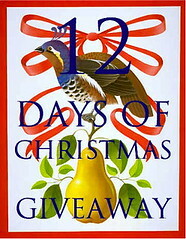 You may enter this giveaway until December 21 at 12:00 midnight. Tomorrow is the final giveaway. Anyone who follows this blog will get an extra entry so if you've ever thought of following now would be a good time. 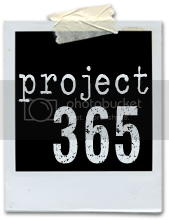 Kristi - This is just the coolest idea and I really have gotten the coolest ideas. I am hoping for some Christmas money so I can do some shopping! I would totally getthe Michelle at the Disco skirt for me!!! Although I would probably wait until I found out if I am having a niece or nephew o I can shop appropriately. Are you kidding me?? This is AWESOME!!!! LOVE MJ! I love every piece...I am going to say the dottie dress but really who can pick?? Me, me, me please! Have always wanted to order. So much to choose from but I do love the Molly skirt. I loved the October ruffles and the flora top. Everything she does is wonderful. Thanks so much for doing this....even if I don't win anything, it has been fun seeing what you offer everyday and finding new shopping places. What a fun thing you are doing this holiday season! I love popping in and checking out the super neat things you are giving away. What a kind spirit you have. As for Matilda Jane or "MJ" as my little calls it, well, we LOVE it! I'd love to be included on this giveaway! I love MJ's new holiday line and would love to deck out Miss Paige in some of the great new items. Thanks a bunch and Merry Christmas! I've long admired Matilda Jane clothing. I would have difficulty choosing what to buy with $100, because everything is so darling. I would probably go with the Mr. Ollie Knot dress, the Maya dress, and some delicious ruffle pants. We don't own any MJ, so it would be a real treat to win! Seriously, on about four pairs of those ruffled leggings and or pants! I love them!!! I am a MJ lover also! Lilly loves to open the package and put them on and twirl and twirl. She would definitely like any of the new spring line that is coming up! I found these clothes because I saw a tag on the back of a dress in one of your pictures and googled it. They are gorgeous. I love, love, love the Eva Rose dress. That would be my choice! I think my niece would look so cute in the pinkie lap dress. All of the clothes are beautiful! I would choose the Jumpin cow jumper for sure! Maybe add the Museum Fiona top & Bouquet ruffle pants. I love the ruffles! I love MJ too! I would love to see my little one in any one of the knot dresses or skirts. And of course, ruffle pants! We've never had any ruffles and they are just darling! Oh my garsh... is it silly to feel giddy at the thought of winning a giveaway? I would SOOO love to win this one, if only wishing could make it so! Neither of my girls have a Matilda Jane yet, so I think I'd have to start with a signature Matilda Jane knot dress... for each! Probably the Eva Rose Knot Dress and the Felina Knot Dress? Or the Holiday Knot Dress? Or the Daisy Lace? And the ruffle leggings? Too cute!! Cute stuff, thanks for sharing! Really loved the museum fiona and the ruffled leggings, so cute! Wow, a hundred bucks???!!! Hmm... Fresh Yama for sure. And the Frankie Dress. Ahh. I so wish I can dress my daughter on Matilda Jane. Oh, yes I can, you just gave me a chance. I'm a big fan of Matilda Jane clothes too! I love the Ginger hooded dress and the Dottie dress! This is the BEST gift EVER! I'm in LOVE with MJC! I cannot even begin to choose just one item...The dresses, tunics, ruffle pants...adorable! My girls have been wearing MJC, and have both hit growth spurts; therefore, definitely NEED some goodies! My fingers are crossed! Love these clothes and we don't own any. My girls are soon to be too big for them and I can't believe I'm missing out. If I win, I would get my little a molly skirt and my big would get one of the dresses, no the skirt, no... so hard to choose. I adore the Big Ruffle pants. CUTE! I like the Fiona Holly outfit--maybe even for Christmas next year? Geesh - I don't even need to go there to know how I'd spend the moola - The bouqet ruffles and willa for sure! I LOVE The tween bettie dress! Oh how I LOVE MJ Clothing. FYI, we live in the very city that Matilda Jane is created as well as Denise. She is not only a very talented lady, but such a sweet one as well. Anyway, since we already have so much MJ right now I would probably save my Gift Card to use for her new spring line. This is the hardest one yet to pick from! 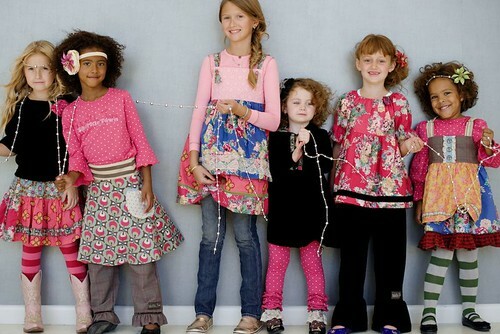 I think I would choose a tween type dress for my soon to be 7 yr old. On second thought, I just found the Bluebird Tank Dress for adults that are adorable too! I'm a Matilda Jane trunk keeper so I would give the gift certificate to one of my MOPS friends who needs it for her daughters. I LOVE MJC! Love the holiday knot and marena dresses and the legging and tights. Love MJ! I love the Fresh Yama and Museum dresses... but there are too many to choose from! Love Matilda Jane (and so happy that I just found your blog)! My daughter would definitely be sporting the Felina Knot dress come summertime! Thanks! love MJ! this time i would get some things for me though and some fun tights for Z the Fiona top and some ruffle pants! thanks again! Too many cute clothes to pick! I would get the Flora Tee, Museum Fiona, blushing ruffle leggings, and the Tween BTS Molly Skirt. So cute. Oh, I probably don't even need to visit the website to know what I want. I've been there alot recently ;-) I didn't order the Marena dress in the Sparkletown collection and wish I had, so I'd either get that or wait for the next line and order away! 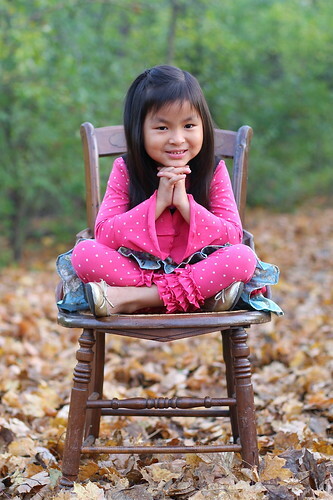 I have always wanted to order from Matilda Jane because your girls always look so adorable! There are so many amazing things to choose from, but I absolutely love the BTS Molly skirt and the Blushing ruffle Leggings. Thank you again for the wonderful opportunity and Happy Holidays! THe Chrissy and Sara dress are my favorites! I'd LOVE to win this! Oh my totally love MJ clothing. I have 2 girls that would also be perfect in all their outfits. would love to wait and spend the gift certificate on the spring line. Thanks for making this so much fun and love all the vendors that you have chosen. Greta skirt and Disco Big Ruffle pants... perfect for my little ones! We LOVE MJ at our house as well....my hubby even thinks they are the cutest clothes ever! A $100 gift card would be such a treat. I may, however, have to splurge on something for myself with part of it as I recently had a baby. I love the Kylee sweater and would probably get Avery another pair of ruffle pants (they have become a staple in her wardrobe! )..maybe from the new Spring line!!! I love this line. Our sweet Chana doll grand-daughter only likes leggings and shirts....and Matilda has some of the cutest ones. That would be my choice. Your girls are so darn cute. Oh my, Oh my!!!!! How fun! I love the Frankie dress or really ANYTHING!!!!! I am so excited! Pick me, pick me!!!! We love Denise and MJC at our house too!! I would probably wait until spring to use the gc... but if I had to buy something right now, I would get the charlie dress and/or one of the molly skirts (probably the sparkle town one). Oh, and the bouquet ruffles to go with the pointelle lap we already own. LOVE Matilda Jane!! I absolutely love that they have adult things too!!! I would put the...Autumn Ruffle Skirt, the adult ruffle pants, the girls holly molly skirt ALL on my list!! Oh how we love MJC! I have been drooling over so many outfits/dresses, but have been trying to wait until after the holidays... If we won, we would LOVE the Sarah Dress & Molly Skirt! I would order the Knot dress and the Gretta skirt!! 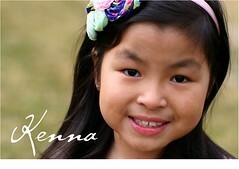 Oh, I can't wait to get my girl home from China to shop for her!! Thank you again for entering my name and for holding the giveaways! Happy Holidays and here's hoping I win the MJ gift certificate!! We are in the process of adopting a baby girl from Ethiopia and would start to outfit her with the disco ruffle pants and the Sara dress for starters. Adorable! So hard to decide because I bought a lo this fall and holiday...but maybe the night before Chrsitmas ruffles and the Holly Molly skirt. SO cute:) I LOVE MJ. You're right...not a shock! MJ rocks! Love everything...and sadly I am just as addicted as you are to Matilda! Kristi - This is really fun. I love the Bouguet Ruffle Pants. thanks for all the fun, and hope you all have a very, merry xmas. I like the Marena dress and the Chrissy dress. LOVE the sparkletown stuff, it is such a wonderful clothing line and my daughter would love anything from that line. thanks for doing this. Very cute. The disco big pants are adorable! I have to be honest...online, I don't think the clothes look very cute, BUT when I see them on your girls they look so adorable!! So, if I won, I would love you, Kristi, to choose clothes for Marissa. I'd let you enjoy the chopping and I would enjoy Marissa looking super-cute! I've made my list and it includes the Dottie Dress and Ruffled leggings. Super adorable!! I'd buy the Dotty dress, the Eva Rose Knot dress and any other dress I could get my hands on! Love those Matilda dresses! Love the Sparkletown line. Especially the Marena dress with a pair of leggings. I love MJ's contrasting patterns and gorgeous blend of colors. Well, I would mull forever, if I won, but on the short list would be the "Solid Gold" tee, the "MJC Logo" tee with pink dots, and the BTS Molly skirt. But I kind of love those ruffle pants, too. Darling clothes! I love the twilight velour top and pretty much anything! I would save it for the spring line since we have most of the fall lines!! So fun!!! I also love Matilda Jane clothing. I would pick another knot dress! I think I would choose two Eva Rose knot dresses for my daughters. Everything is cute though. This is just the best contest yet! I absolutely love her clothes!!! If i won I think it would be one of the hardest decisions! But I think the Maggie Stew dress is just the cutest! And also the pinkie lip dress. So fun! oh wow! I'm blown away! I didn't even have to look at the site to tell you that I'd get the Maggie Stew dress and some big ruffle pants. I drool over the site all of the time. Just waiting for my daughter to be a little older and not grow out of clothing quite so quickly. This store has some of the cutest stuff ever! I would let each of my girls pick out something they liked (I would take too long to decide)how fun! I can't believe how grown up the girls look. Wow! Just lovely! I love Matilda Jane but so far have not gotten Tate anything from MJ. Love the daisy lace knot dress, blushy ruffled leggins striped tights museum fiona. It seems like it was so hard to choose, I want it all. Accessories, a girl needs them! We would pick, leg warmers, hats, head bands and tights!! Love them all! Your daughters look beautiful in their Matildas! Would love to win one of these for one of my girls. I would just LOVE something that my twin granddaughters could wear together. 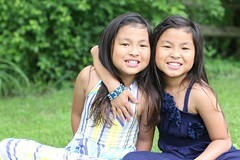 They love to wear "girly, swirly" things, and at 5 years of age, they are adorable like yours! Merry Christmas! Oh my goodness- I would love to win this! I would get the Blushing ruffle leggings & daisy lace knot dress!! love it all! any of the knot dresses, the chrissy dress, the museum dress, the sara baby doll top....i would have that $100.00 spent in no time, and yes, your girls look adorable in the matilda jane clothes, they are too cute. I was really hoping MJ would be part of this! I don't have kids, but I would get the knot dresses for my niece's girls! They are too cute! I love, love Matilda Jane! Thank you for the opportunity! I love just looking at all of the Matilda Jane clothing but really like the Fiona dresses. What a talent she must have to put those various delightful fabrics together. Oh my any of there dresses would work for me. I really love the gretta skirt. Thank you for a fun 15 days. I hope you and your family have a Merry Christmas. ooh...that $100 would be gone fast! I'd have to say it would be spent on one of the dresses! Darling clothes! I love the Molly skirt with blushing ruffle leggings. 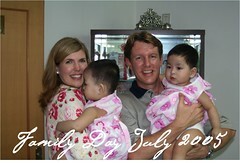 I had the good fortune of receiving two Matilda Jane t-shirts from you...I wear them all the time! Very comfy, nice fabric, cute! But, I'd LOVE the Kylee sweater (you have one!). Monika told me about your blog! Yeah! Just added to my list! I have so many dresses on my wish list! One of my daughters, Jane (4) put the "dress wif the deer on it" on her here Christmas wish list because, "Its so dear!" She cracked herself up over that! Thinking she was so funny! Aren't four year olds great??!! Such adorable items. I just love their knot dresses and so does my sweet daughter! I would probably wait for the spring line and get something for our daughter to be, she will be 9 1/2 by the time we travel. We love MJ and get so many compliments when we are out and about town. I have not started to buy anything for daughter #2 until I get some updated size info and we finish our dossier. Would love for her to have a few MJ things if I WON when we went to get her. I know she adores dresses!!! I am a longtime lover of MJC, I used to love her when she just painted cute furniture! Then when we brought Myah home I discovered her again at a local art fair, I love Denise and love all of her sweet clothes! I would want one of everything! I have little twin sweethearts as well who will look awesome in MJ! I love the Tween Disco Ruffle pants! What is not to love from Matilda Jane! I love the museum top! And, to tell the truth, everything MJ. The Knot dress is too cute! I love these clothes, and always see them on your girls, but never knew where to buy them! Beautiful! Your girls always look so cute wearing MJ. I love the big disoo ruffle pants and the gypsy gretta skirt, but everything is pretty cute. Since my daughter is "all dresses, all the time," I'd have to go with the Maggie Stew or the Dottie dress. I would get the museum dress and the maggie stew, but all of those clothes are beautiful. The sprinkle leggings are awesome, I love the fiona + holly too - however my pink-crazy 3 year old would have to choose as she will only wear what she wants! I love EVERYTHING matilda jane but I'll go with the big ruffle pants. You can't go wrong with those. I would buy the october ruffles....with the tween tiffany tuxedo top...and the dance yourself silly clip! Not too hard..I own almost every other piece of the Sparkletown collection! I would gladly add the Holly Molly skirt and the ginger hooded dress! There is nothing like MJ! I've always wanted to get my daughter a knot dress with those darling MJ tights. However, she was sitting on my lap when I was looking at the skirts. She picked out the molly skirt because it looks "twirly". Love, love, love all the fabulous dresses and ruffle pants!! I'm absolutely smitten with the MJ clothes...first saw them in pictures on a couple blogs and was finally able to zoom in on a label to find out who made such wonderful vintage style clothes! I've been waiting to be matched with a SN daughter from China and my agency tells me it will now most likely be very soon into the new year. 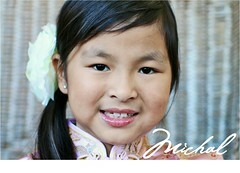 I would so love to take an MJ ensemble to China to have my daughter wear as her very first outfit with her new family:)! Thank you so much for your wonderful giveaways...may you and your family have very merry holidays! I would have so much fun finding sometime cute for my little sweetie! This is just too exciting to think it could be be. I absolutely LOVE MJC!! I have something from every one of her past several lines, so I honestly think I would wait on her spring line. I can't wait until she gets back from Peru and hope she gives us some sneak peeks--loving me some polka dots!! So many delicious choices that it would be hard to just choose one or two but I love the Felina knot dress and the Holly Molly skirt..what a generous giveaway! I love it all...and every dress, each skirt seems to have been made exclusively for my daughter. She does not own any Matilda yet...I'm hoping we are the lucky winners. Even if we don't win though...I have very much enjoyed all of your ideas and have added some of these treasures to my wish list. Thanks for sharing. I love Matilda Jane! I would put that gift certificate to use on a knot dress for my soon-to-be one year old. I've been eyeing them for quite some and can't wait for warmer weather ... I see a photoshoot in my future! It's hard to pick a favorite but I think mine is the Sara dress since it was brought to my attention by a sweet little girl who wore it on the first day of kindergarten. How do you ever choose? I like the Sara dress, the Fawn dress, and some of those ruffled leggings. Just too hard of a decision. Maybe a dress of some sort. So hard to pick. Anything from the Sparkletown line is sooo cute!